Cloud Gate–better knows as the “The Bean”– is located in Chicago, Illinois. 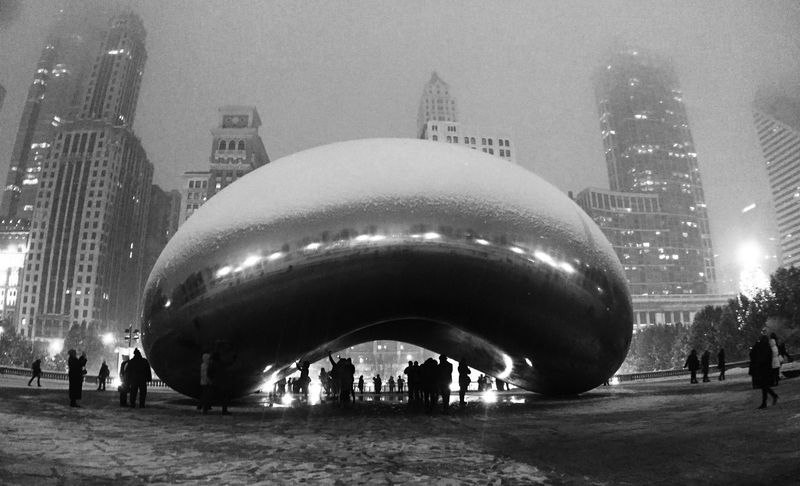 The sculpture weighs 110 tons and was created by British artist Anish Kapoor. The sculpture is made out of stainless steel plates and measures 66 feet in length and is 33 feet high. The sculpture includes a 12 foot high arch that people can walk under to a concave chamber underneath the sculpture. Every visitor can touch the smooth surface while looking at their reflection.